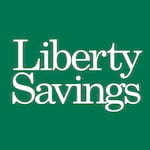 From savings to loans, Liberty Savings Federal Credit Union's goal is to provide the best rates and lowest fees for all your financial needs. As a Federal Credit Union, Liberty Savings is owned and democratically controlled by its members - not by stockholders. This gives it the power to return profits in the form of low interest loans and superior customer service. Liberty Savings is ready to help you achieve the American dream - whatever that may be for you. As a first time investor I came to Liberty Savings Federal Credit Union to try and see how they differed from your typical banking establishment. I was pleasantly surprised when their 5 year CDs were able to have a significantly better APY than what any of the banks I had previously been with offered.